You’ll find concert events and festivals year round throughout New Mexico. Using Albuquerque as your hub destination, you can travel to any festival location in New Mexico in less than a day. Here is a listing of some of the great music you can find all year long in New Mexico. The Outpost Performance Space winter and spring concert series, presents some of New Mexico’s best artists in concert as well as great Jazz, Folk and Blues artists from around the world. Some of the talent in the 2018 season will include Tootie Heath, Eric Bibb, Dee Dee Bridgewater and Chucho Valdez. 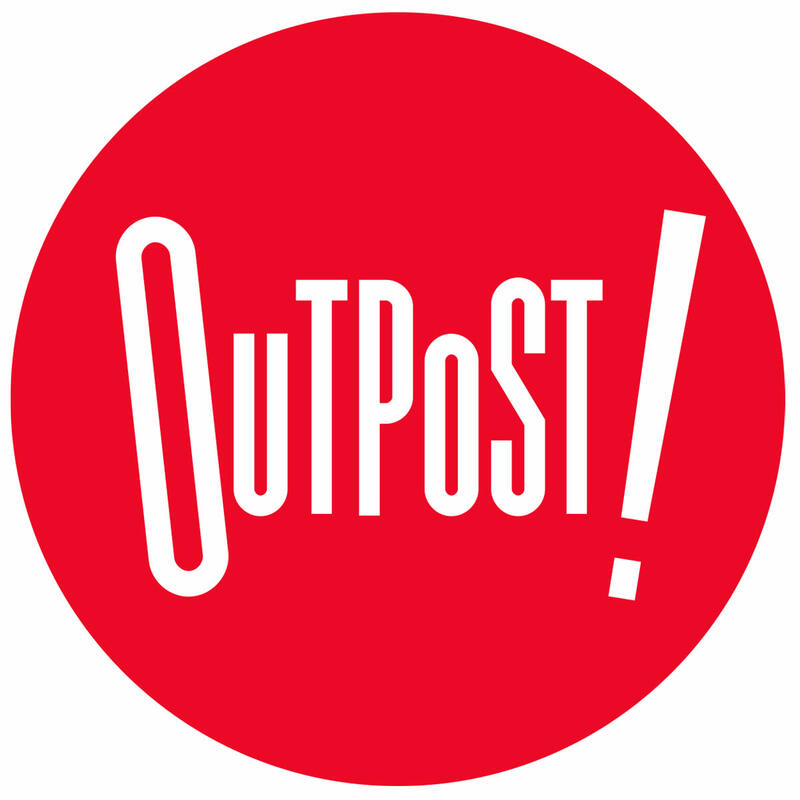 The Outpost also hosts educational events for youth and presents artist’s works throughout the year. Director Tom Guralnik was presented the a 2016 recipient of the Jazz Hero award by the Jazz Journalists Association for his work at the Outpost presenting internationally known Jazz artists and for his work in co-founding the New Mexico Jazz Workshop and is a 2018 Platinum Music Award winner. The Outpost also produces the New Mexico Jazz Festival Annually in July. Gathering of Nations The largest Pow Wow in North America and Indian Trader market. The event takes place at Tingly Coliseum on the Expo New Mexico Fairgrounds in Albuquerque. This home grown event, established in 1983, brings together the largest gathering of Native American artists, dancers and musicians for a weekend of performance and celebrations that includes the Miss Indian World competition. City of Albuquerque’s Cultural Services Division produces a variety of events that feature everything from Flamenco music and performance to Broadway musicals. Here are a few things you might like to try out. There is music every Saturday morning from 8:00 AM to noon at the Downtown Growers Market beginning April 14th-November 3rd, 2018 and Sundays from 10:00 AM-2:00 PM at the Railyards Market May-October, 2018. The Rio Grande Celtic Arts & Crafts Festival has been a part of Albuquerque for 31 years. The Festival will be moving to Rotary Park in Bernalillo, NM just north of Albuquerque. There will be merchandise and food vendors, family friendly activities – Children’s Area, live music, Heavy Scottish Athletics, Clan Row, Celtic dance demonstrations, and, of course, bagpipes! Pipe Bands are both local and from surrounding areas including HDPD, Shrine, Mac-Tire, Order of the Thistle, NM Fire. Memorial Day weekend officially kicks off the summer with events to tempt the palate and please the ears. The Albuquerque Wine Festival and the Las Cruces Wine Festival feature acts from around New Mexico as well as libation from New Mexico’s best vineyards. Festivities begin at noon and go until 6:00 PM. Nearly 400 years ago, in 1629, the very first grapes were planted along the banks of the Rio Grande and American viticulture was born. These original vines were smuggled from Spain and planted by monks to produce wines for ceremony and sacrament. What began as a sacred tradition eventually grew into a thriving industry, and by the late 1800’s New Mexico was producing over a million gallons of wine annually. New Mexico’s modern day wine industry continues to evolve from traditional European roots, with over 50 wineries and tasting rooms throughout the state. It is not difficult to trace the influence of old Spain in our contemporary wines, but one can also taste the traditions of France, Italy, Germany and Central America in our present day vintages. We invite you to explore Americas most unique and independent winemaking region in the heart of the Southwest. Viva Vino! with over 70 fantastic breweries, 5 awesome bands and 4 hours of unlimited sampling we understand why this event sells out every year. This is a 21 and over event only. This is a beer TASTING festival, not a drinking festival. It’s like a wine tasting, only with beer. The idea is to try a variety of microbrews that you might not otherwise get a chance to try. Pints will be available for purchase as well. Non Sampling: includes entrance to festival, music, vendors and games. One bottle of water for first 100 ticket holders. 21+ only. The 23rd Annual Silver City Blues & Bikes Festival, in Silver City New Mexico sponsored by the Mimbres Region Arts Council presents great local, national and international blues performers. Every Memorial Day weekend, the Mimbres Region Arts Council presents one of the Southwest’s premiere FREE Blues Festivals. Starting on Friday and wrapping up Sunday afternoon, the Festival features not only the brightest rising stars of the Blues but classic respected performers that have toured the world. Presented in Silver City’s Gough Park (pronounced “Goff”) with additional activities and events throughout Silver City, this is a true Blues Lovers Experience. The Albuquerque Folk Fest showcases the best in Folk, Bluegrass, Singer/Songwriter and Americana and Roots music from around New Mexico and throughout the Southwest on three stages. There are also workshops, jam sessions, dance, storytelling and events just for kids. Festival Flamenco Internationale de Albuquerque celebrates its 30th year with a weeks worth of performances, workshops and a kids camp to promote and preserve the history and heritage of Flamenco. The New Mexico Jazz Workshop Salsa, Jazz & Blues Under the Stars concert series every Friday and Saturday night. All shows held at the Albuquerque Museum of Art & History (2000 Mountain Rd. NW) Children 12 and under free. June 7 – Pandemonium and the Odara Dance Ensemble. June 8 -Cyrille Aimée quartet. All sales final, no refunds. No refunds due to inclement weather. Albuquerque Museum members receive the NMJW member discount. Please present your Museum member card at the Box Office. Food and drink (including alcohol beverages) are available from Slate Street Cafe. Group rates available: 10 or more get the member rate. Call Markus at 505-255-9798, ext. 4 for more information. **PLEASE NOTE** All tickets are general admission unless a reserved table is purchased. Seating is first come, first served. Contact Executive Director Markus Gottschlich at 505-255-9798, ext. 4 or markus@nmjazz.org for more information. The Santa Fe Bandstand is a free summer music festival on the Santa Fe Plaza and at SWAN Park on Santa Fe’s Southside. Brought to you by Outside In Productions, a nonprofit, community-based group established in the spring of 1995, to bring free, live performances, presentations and workshops to people confined to shelters, residential treatment facilities, nursing homes, correctional facilities, and any other institutions or human services programs where people would otherwise not have access to the arts. Summertime. A great season for concerts, treats, and community gatherings. Albuquerque’s Summerfest series brings in talent from around New Mexico and around the world to perform in communities around the city. Summertime. A great season for concerts, treats, and community gatherings. Summerfests are an Albuquerque tradition dating back to the 1980s. Summerfests are FREE community events. They feature children’s activities such as face painting, inflatables, and climbing walls, a microbrew garden for those who are of age, an artisan market full of handcrafted goods by local craftsmen, food trucks and more. It is fun for all ages! The best part of Summerfest is the live entertainment. Each Summerfest brings both local and national talent of all genres. Previous national headliners include Big Bad Voodoo Daddy, Morris Day and the Time, Wynonna Judd, Arrested Development, Ozomatli and Geroge Clinton and Parliament Funkadelic. Summerfest concerts bring the crowd and keep the party going all night. Every Thursday during the summer there are performances from New Mexico’s best musicians Summer Nights at the Albuquerque Botanical Gardens. The perfect setting for great music. On alternating Friday nights ZooMusic presents local and national acts at the Albuquerque Zoo Amphitheater. Freedom Forth presents a night of music to celebrate our nation’s birthday that culminates with a spectacular fireworks show from 4:00-10:00 PM at Balloon Fiesta Park in north Albuquerque. Learn from the Masters of Mariachi at the Mariachi Spectacular de Albuquerque. The three day event presents workshops, a master class and performances by some of the most talented mariachi students and professionals in the world culminating in a grand performance by some of the world’s finest Mariachi orchestras. Mariachi Spectacular de Albuquerque’s (MSA) mission is to promote culture, arts & excellence in art education demonstrating Albuquerque’s ethnic Heart & Soul. Through MSA a foundation for life-long participation in the arts is possible. MSA builds bridges for inter-cultural appreciation in the Mariachi musical genre by encouraging and allowing interested parties who want to learn and develop musical skills, allowing for an increase in understanding of this musical and cultural art form or by providing the opportunity to simply be entertained through concerts offered. All of this and much more can be achieved through programs and opportunities offered in MSA. MSA is continuously contributing to the cultural understanding and appreciation of folk and Mexican music. Mariachi Spectacular de Albuquerque is a non-profit 501(c) (3) corporation. Classes are offered at beginning, intermediate and advanced levels. As a bridge between masters and new generations of mariachi music enthusiasts, this event helps to preserve the music genre. The program is designed to bring together the elements of the conference to reinforce the interfacing of students with maestros, teachers, and performers. Students are able to “rub elbows” and learn on a one to one basis with the maestros gaining a musical experience and direction unheard of in few other musical environments. Memorial Day weekend officially kicks off the summer with events to tempt the palate and please the ears. The Albuquerque and Las Cruces Harvest Wine Festivals feature acts from around New Mexico as well as libation from New Mexico’s best vineyards. Festivities begin at noon and go until 6:00 PM. The Albuquerque Film & Music Experience festival combines the best in current and classic films along with great music events that feature the award winning artists in performance throughout the week. The festival takes place at various locations throughout Albuquerque. The AFME Foundation is a 501 (c) (3) non-profit formed to make a difference in our collective community during AFME and through year-round programming. Our purpose is to provide opportunities for future generations while increasing exposure and economic impact for the City of Albuquerque and the State of New Mexico. Each year, we bring filmmakers, musicians, artists and visionaries together to celebrate the art of storytelling and collaborate into the future. The foundation produces the annual Albuquerque Film & Music Experience and provides scholarships, internships, financial contributions and support to students and up-and-coming New Mexico filmmakers, artists and musicians who, otherwise, may never pursue their college education or realize their artistic dreams. With so many talented students of the arts in the Land of Enchantment, our goal is to offer assistance in earning degrees in their respective field of study, further their careers and keep them, and their talents, right here in New Mexico. Founded in 2006, the intent of the Roswell Jazz Festival is to provide the people of Southeastern New Mexico and beyond with annual festivals and intervening events that display the artistry of jazz musicians from across the country and which are intended to increase the sense of community by providing all who participate with the opportunity to share and enjoy our own artistic endeavors, to celebrate our jazz roots, and to educate both young and old alike in the jazz traditions of America. While there are more than 80 dulcimer festivals from east Texas to the East Coast, the New Mexico Dulcimer Festival is one of about six dulcimer festivals in the entire Western United States. Participants come from all over NM, but also most of the continental United States and even Saskatchewan, Canada. Teaching staff have come from throughout NM and CO, and headliners in from around the country have performed. Growing from 7 mountain dulcimer workshops in 2010 to 49 workshops in 2018 primarily focusing on mountain and hammered dulcimer, but other folk instruments as well. The New Mexico Philharmonic presents the classics, rock and pops concerts featuring world renowned guest artists. In 1932 members of the Albuquerque Rotary Club adopted a resolution to organize a symphony orchestra. The Rotarians asked Grace Thompson Edmister to form the Symphony Civic Orchestra, making Edmister the first woman in the United States to conduct such an ensemble. Immediately after the announcement was made, community members stepped forward to launch the inaugural event. The University of New Mexico offered instruments, sheet music, and a concert location. Mayor Clyde Tingley went door-to-door inviting community members to the concert. The response of the city was beyond expectations with 2,000 people in attendance. At the end of the concert, Rotary Club International President Clinton P. Anderson officially presented the orchestra to the City of Albuquerque, which was accepted on behalf of the citizens of Albuquerque by Mayor Tingley. The orchestra received its first payment for performing at the KiMo Theatre for the dedication of KOB, the first 50,000 watt radio station in Albuquerque. It was decided that the performance payment would be used to purchase the first sheet music owned by the orchestra.